Tofu (bean curd) originated in China about 2,000 years ago. Tofu is a widely enjoyed food made from soybeans. It is made by curdling soya milk with a coagulant and then pressed into a sliceable cake. Tofu has become more popular as it is gluten-free, lactose-free, contains no cholesterol, great for vegetarians and healthy for people who want to cut back on meat. Tofu is available refrigerated in individual packages or non-refrigerated in aseptically sealed containers. Tofu varies in texture from soft to firm to extra firm. Soft tofu has a smoother texture and is used for salad dressings, sauces and desserts. Firm and extra firm are used for baking, stir-frying and grilling. The firmer tofus are usually higher in protein and fat content. The tofu in containers with liquid can be frozen in the original packaging and will keep up to five months. Freezing will change the physical properties, making it more spongy, chewy and absorbent for use in certain recipes. Tofu is one of the super foods as it is very high in calcium, manganese, copper, selenium, protein and phosphorus. 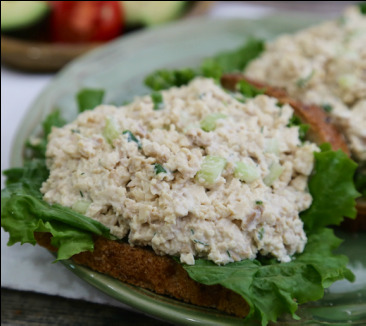 It also has good amounts of omega 3 fats, iron, magnesium, zinc and vitamin B1. Studies indicate tofu can provide protection against cancer, heart disease, type II diabetes and obesity. Preparing tofu: Slice open the package, drain out the water. Slice the block into 4-6 pieces. Lay the pieces on paper towels and paper towels on top, set a large heavy object (cast iron skillet) on top for about 30 minutes…..or squeeze each slice between your hands until all of the liquid is out. Now it is ready to be fixed as per your recipe. One 14 oz. package of firm or extra firm tofu, all liquid squeezed out. Crumble into small pieces. 1. Fry the tofu in the fry pan over medium heat until it starts to brown. 2. Add choice of vegetables: chopped onion, green pepper or jalapeno pepper (as per preference), kale, spinach, tomato or mushrooms can be used if desired. 3. Cook until vegetables are done and add spices: ¼ cup nutritional yeast, salt, pepper and flakes of red pepper all to taste. Prepare and fry as above. 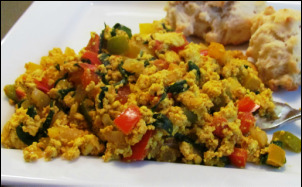 This has more appearance of scrambled eggs due to the turmeric. ¼ cup Vegenaise (like Mayo without the eggs) to make it creamy - you may need to add more. 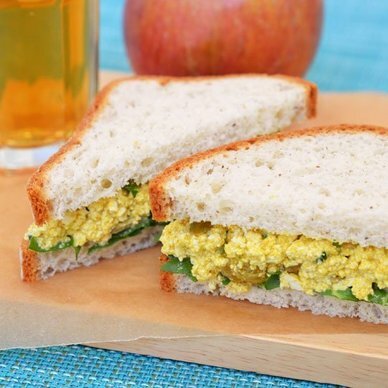 Scoop sandwich filling onto slices of bread, place thin slices of Claussen dill/garlic pickles on top of filling. This can be kept refrigerated for one week. 2 - 8 oz. pkgs. corn muffin mix or 1 - 16 oz pkg corn muffin mix. Cook according to directions, drain, rinse, cool and dry. Use either filling recipe below. Place in pan and simmer until spinach leaves are wilted - set aside in a medium bowl. Put above ingredients in a food processor and blend until smooth. Spoon 2 Tbsp filling into each pasta shell, place single layer in large baking dish, with small amount of sauce at the bottom. Cover with remaining 24 oz. of favorite pasta sauce. 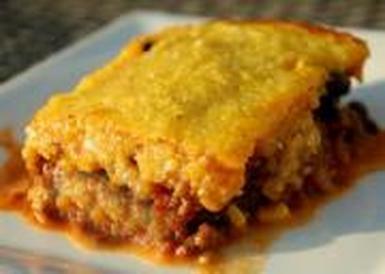 Sprinkle with ½ cup chopped green olives or Kalamata olives and mozzarella cheese if desired. Bake 375 degrees - 35 minutes or until sauce is bubbling. Spoon 2 Tbsp. 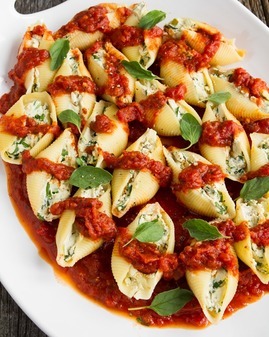 filling into each pasta shell, place single layer in large baking dish, with small amount of sauce at the bottom. Cover with the remaining 24 oz. favorite pasta sauce. Top with optional Parmesan cheese. Bake 350 degrees, about 35 minutes.